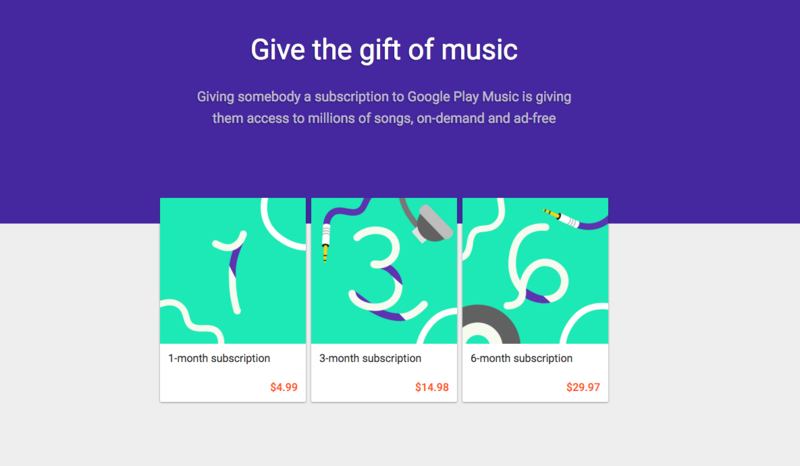 For a limited time, you can give the gift of Google Play Music at a discounted price. At 50% off each tier of subscriptions, there are three options to choose from: 1 month for $5, 3 months for $15, and 6 months for $30. When purchasing, all you will need is the email address of the person you want to gift the subscription to. You will enter who the gift is from, add a lovely message, then pay for it. Once sent, the recipient will open the email and add the subscription to their Google account. Give the gift of music this weekend. Video: Android 6.0.1 Android Wear Gestures and Features Tour!